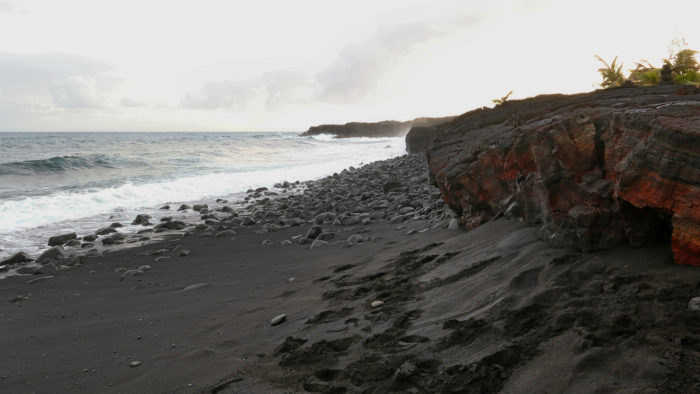 Black sand beaches can be seen near volcanic sites. 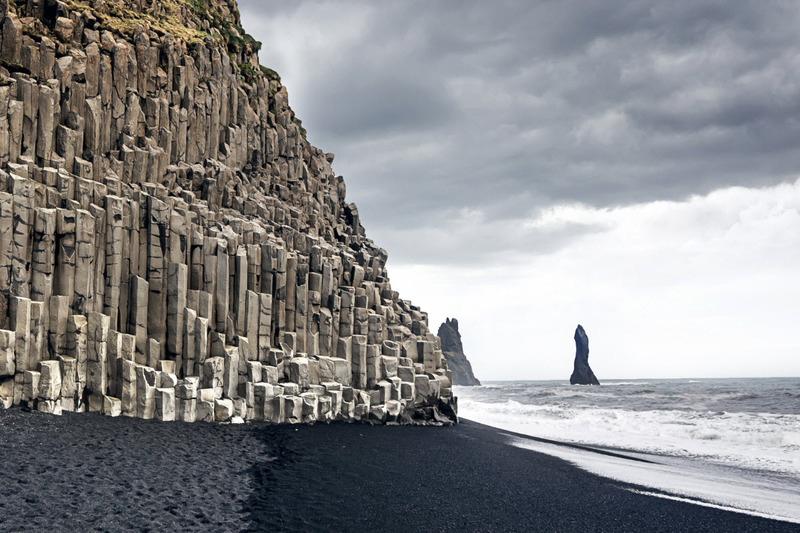 They have deposits of volcanic substances that gives these sandy beaches their black color. Nevertheless, they are stunning and provide a photographic view. The blend of black sand with turquoise blue water is a picturesque blend of natural colors that provide a sight worth seeing. These exotic beaches have a haunting beauty and an offbeat feel that add to a different travel experience altogether. Marvel at their beauty and surrounding vegetation, hot springs, and relax under the shade of palm tree. These beaches are not for swimming or water sports activities but only to admire the beauty and a unique beach experience. 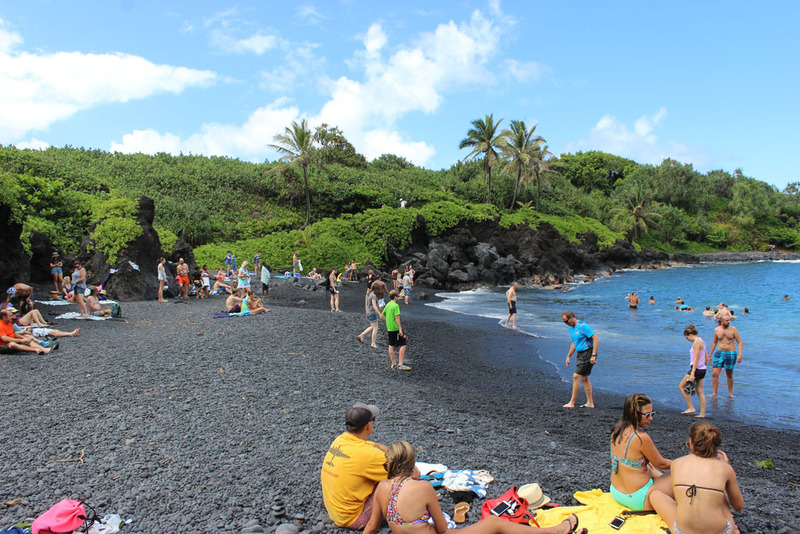 The Punaluu black sand beach has ink blue water against the stale grey sand that almost looks black. Flanked with coconut and palm trees, this can be one of the best-chosen destinations for a solo or a romantic vacation. You are likely to find the endangered species of turtle enjoying the sun and sand. Do not disturb them and enjoy the company of these sea creatures. Located on the Big Island of Hawaii, you will find the Hornbill Turtle that you see in the Nemo animation movie chatting with Marlin, the clownfish. This is one beach with a breathtaking view that closes on a rocky mountain. You can go trekking, beach hiking, and surfing on this beach. The Kitekite waterfalls closer to this beach are stunning to view. Right in the middle of the beach is a rock formation called the Lion Rock which is a unique feature of this beach. You can swim on this beach and also take up water sports activity such a snorkeling. The lava deposits are found on this beach that has been flown from the Haleakala mountain. Located inside the Waianapanapa State Park, you can go beach hiking and spend a quiet time enjoying the beauty of this beach. For beach hiking, this is a pebble beach closer to the Mattole River that provides a stunning view of turquoise blue water against the backdrop of blue sky. This beach in California, the U.S that has a scenic view but might not be ideal for swimming. You can set up a camp here on spending the night under a starry night. Lined on this beach are numerous hotels that provide great food and view of the beach. There is a beach bar located on this beach where you can go barefoot and enjoy some food and drinks. Closer to this beach is Ancient Thera ruins. This is one of the most beautiful black sandy beaches you can visit that is surrounded by lush green, flowers, trees, and waterfalls. You can go surfing on this beach and also enjoy the spectacular view of this beach, sipping a drink and lounging on this beach. The sand on this beach has magnetic properties and is popular for its healing features. Ideally suited for those suffering from cardiovascular ailments, can find a relief on this beach. You can go walking and beach hiking on this black sandy beach in Georgia, Russia. A scenic black sandy beach where you can find birds like puffins, small pristine white fulmars, and guillemots that resemble penguins. On the beach, you will find a few basalt pyramids that stand tall in the middle of the beach. This beach is not recommended for swimming or any beach activities as the waves are unpredictable. You will not find any black sandy beaches in the UK. These beaches are formed only near volcanic sights. Popular for its sunsets and fishing, this is a black sandy beach that can be visited for swimming, beach hiking and enjoying the view of its tranquility. Flanked with quaint cottages and banyan trees, you can have a unique experience visiting this beach. Kayaking, nature photography, beach hiking, and camping in the backdrop of snow capped mountains is something you can look forward to when you visit this beach in Alaska. One of the most popular beaches for its stunning view glaciers amidst the beach gives it a unique aspect. This beach is an archipelago of a cluster of islands closer to a 100. You can get to this beach by a cable car. This beach is popular for diving. Surrounded by rich vegetation and a tropical jungle, you can spend a quiet time on this beach enjoying its beauty. 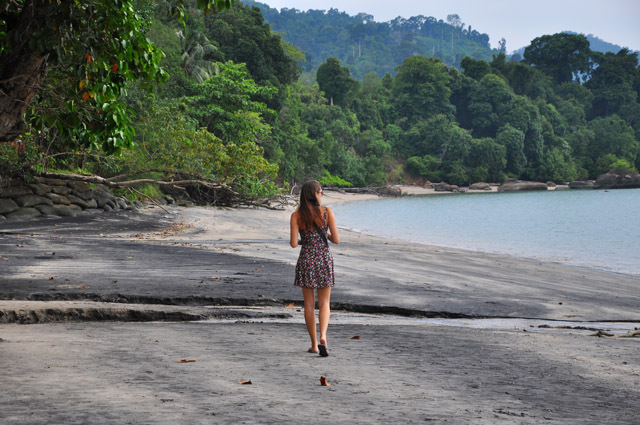 This black sandy beach has a coastline that is 12 km long. You can lounge on this beach with a nice cocktail and a book, enjoy the view of sunsets. Snorkeling and diving are the only water sports activities available here. A beach that gives the view of a fantasy world that you see in movies like Harry Potter and other fantasy stories. With ice blue waters and a mountain view, this black sandy beach has a different experience to provide. Go beach hiking and enjoy the stunning view of this rocky beach. A popular surfing site is the Kaimu beach in Kalapana, Hawaii. This is one of the youngest beaches, while all other beaches are as old as millions of eras. The Kaimu beach is only 27 years old!! The nearby village as well as the Kaimu beach was submerged because of lava and is slowly coming to the shore making the view breathtaking. One of the beaches in New Zealand with the longest coastline. You can kiteboarding and horseback riding on this beach. It has a scenic view of crystal clear water and beautiful sunrise. This beach is a good picnic spot and you can visit this beach during the daytime. 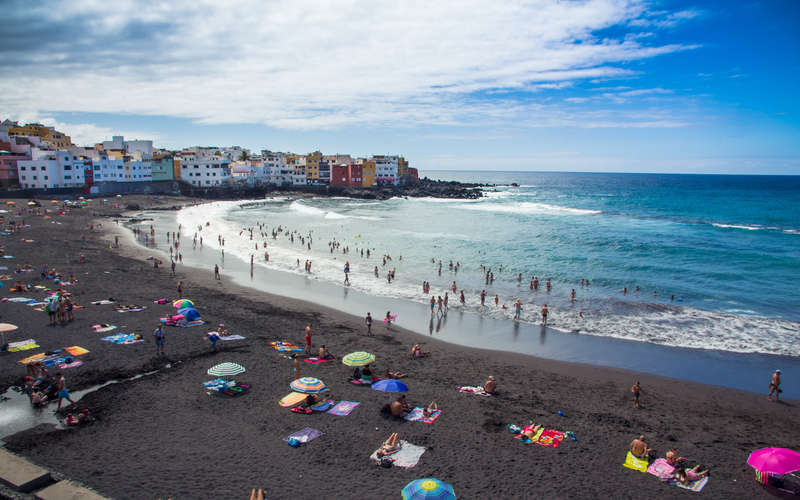 Black sand beaches offer a unique experience for beach bums and might not always be ideal for watersports and outdoor activities. For their exotic view and landscape, and solitude you can visit these beaches and have a different experience of beach hiking.